Hyperpigmentation is a concentrated and usually localised increase in your skin's natural colour, most often caused by sun exposure. It is a common, usually harmless condition in which patches of skin become darker than the surrounding skin due to melanin deposits. These visible patches are called "solar lentigines" or liver spots. These small darkened patches are usually found on the hands and face, and any other areas that receive frequent sun exposure. There are other kinds of pigmentation problems too. Some people (mainly women) can be affected by something called melasma. This is a hormonal condition usually brought on by pregnancy or taking the contraceptive pill. While this condition can be difficult to treat, it can be managed well with peels, products and spf application. If necessary your Simply Skin practitioner may refer you to a Consultant Dermatologist, depending on the severity of the condition. This deep exfoliation treatment is perfect for those suffering from dark pigmentation. treatment uses acids to physically shed the skin. pigmentation. 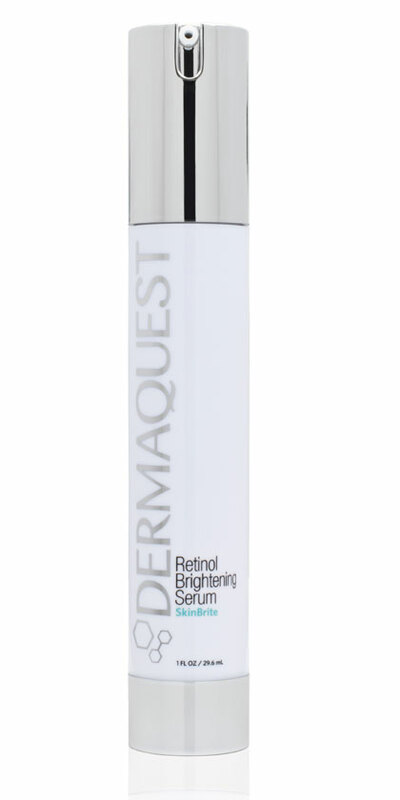 Also combine the A2 Serum by DermaQuest for a maximum glow! 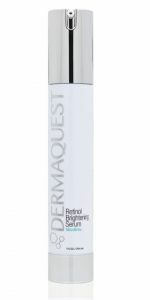 Until the skin is completely healed, you should use the DermaQuest Post Skin Treatment Kit which includes the Delicate Cleansing Cream, Skin Rehydrating Serum, Skin Rebuilding Serum and Daily Moisturizing Lotion SPF 15. All products should be applied twice daily. It will help to keep the skin well hydrated post treatment. This treatment may cause increased sensitivity to the skin depending on the skin type and home care regimen. Side effects may include, but not limited to, stinging, itching- irritation, redness, swelling, tightness, peeling and scabbing of the skin. Avoid sweating, exercising, hot baths or showers, scrubbing, picking or rubbing, which could lead to scarring. If you are using retinoids and/or alpha hydroxy acid products, only re-introduce to the skin once it has healed. Protect the skin from direct sun exposure with a broad spectrum sunscreen for a minimum of 3 days post-treatment to prevent hyperpigmentation. A hat may be worn if necessary. Your compliance with the use of daily sunscreen on an ongoing basis is mandatory, especially with exfoliation treatments. You must cease using Retin A for one week and no facial waxing for one-two weeks prior to the Mango Peel. If you are using benzoyl peroxide products you must cease use for 3-4 days prior to the peel. Those who are prone to herpes breakouts can be referred to a physician for a prescription prior to the peel to help avoid breakouts during healing time. The Mango Peel can be performed in a series of 6 treatments, scheduled 1-2 weeks apart, 2 times per year.